Hospitals, chaplains and therapists will find this low-cost booklet invaluable. Only $1.50 each in packs of 40, the Book of Comfort and Healing contains a well-chosen selection of prayers and quotations drawn from the wisdom of ten different faith traditions to address a wide range of needs and concerns. If you work with people from a wide range of backgrounds who are struggling with difficulties related to physical or mental health, then you will find this booklet incredibly helpful. It is 4.75x7" and 64 pages long with a full-color cover and dark blue text. 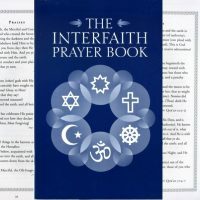 Organized by religion rather than by topic, it includes beliefs about prayer from the six major world religions, appropriate clip-art of Holy Places and symbols, and a diverse selection of representative prayers for each religion. 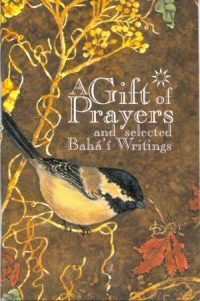 The section on Bahá'í prayers includes a brief description of the Faith and Bahá'u'lláh, some writings on the unity of religion, and several of your favorite prayers. It would make an excellent first-exposure introduction. 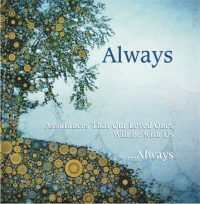 Always - Interfaith Assurances That Our Loved Ones Will Be with Us Always This lovely gift book/sympathy card will comfort members of any and every religion. Use this as a sympathy card with the optional envelopes and signature cards, or order them as booklets without the envelopes to be given out by hospice workers, in hospital chapels and at funeral homes. Interfaith Meditations on the Life to Come Case priced at $1.22 each, they are $1.50 in packs of 40 and $2 in packs of 10. Bring comfort to the sick, the dying and their loved ones - that is what you try to do every day, and that is what this lovely booklet will help you do even better. No matter what your patient's spiritual path, they will find words of comfort in this collection of over 200 short quotations, prayers and poems from around the world and across ten different faiths. The 4.75x7" size is easy to carry, and can slip into a standard A7 envelope. It is 64 pages with large type for older eyes, and dark teal type for easy reading and a gift-book feel. 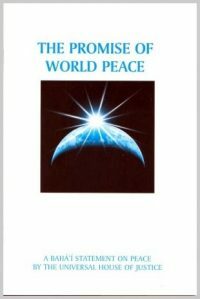 By Justice St Rain, author of "Nine Reasons Why You Will Want to Join the Bahá'ís," this booklet goes well beyond the 10 basic principles to present the major social, spiritual, moral, metaphysical and religious teachings of the Faith in a series of 75 simple, concise points. Harmony of Science and Religion Pamphlet Many of the Bahai principles, like peace, racial harmony and equality of women have become accepted by thoughtful people around the world. The Harmony of Science and Religion, however, remains a controversial idea. Many of our mini-books double as gift cards, so to make it easier for you to send them through the mail, we offer these envelopes. This beautiful deluxe edition of A Gift of Prayers fills that need gloriously. Foil-stamped title on deeply textured cover paper on the outside, with blue lettering on elegant cream-colored paper inside, this prayerbook is "perfect bound" with a square spine that has the title printed on it so you can find it on a bookshelf. 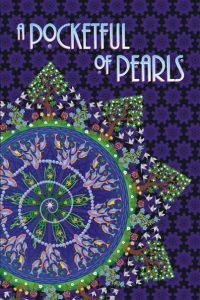 Bahai Mini-books for every one and for every occasion This is a set of 10 of our most popular Bahai boolets. This is your chance to check out all of them without having to buy five of each. 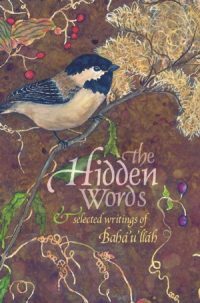 You get: A Gift of Prayers, Why We Have Hope, The Hidden Words, The Secret of Happiness, Tell Me about Baha'u'llah, One Light - Many Lamps, Wings of Prayer, True Wealth for Troubled Times, Reflections from the Sacred Writings (Ruhi quotes) and the Ocean of Healing. Only $1.25 each in quantities, this is the prayer book that was given to visitors at the Bahá'í House of Worship in Wilmette for several years. It has a beautiful cover, a great introduction, a full table of contents, and over 100 prayers and quotations. 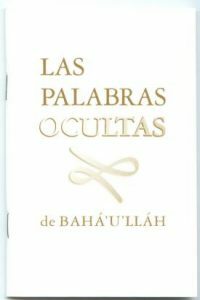 The Hidden Words and Sacred Writings of Baha'u'llah This edition is exceptional because: (a) It is very pretty. (b) The type is larger and easier to read than many. (c) It opens with a welcoming invitation. (d) The cover & invitation mention other religions. (e) It includes extra pages of prayers, quotations, history & principles. (f) It is bulk priced at 1/5th the price of regular editions and 1/2 the cost of other pocket editions. (g) I offer free advice on how to use this edition for teaching. (h) It matches our prayer book, for a handsome gift set. 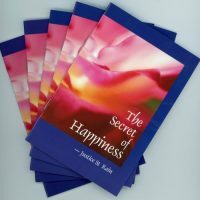 This is the booklet for seekers who want to go straight to the source. Here readers will find over one hundred carefully selected quotations that offer an uplifting and hopeful vision of humanity's potential. Ocean of Healing is a compilation of Baha'i Writings that will comfort you and your friends when you are facing health challenges. Note that I said "when," not "if." All of us face health issues eventually, which is why this booklet is so universally appreciated. Keep a stack of them handy, because if you wanted to, you could give out two or three a week without even trying. Everyone gets sick. One Light Many Lamps Mini-book There are millions of people out there who would like to believe that all religions come from God. But they just can't reconcile the glaring apparent differences. This booklet (inspired by our best-selling teaching card and banner) offers a rational explanation for the differences between religions. It may not convince all skeptics, but it will ease the concerns of the open-minded. 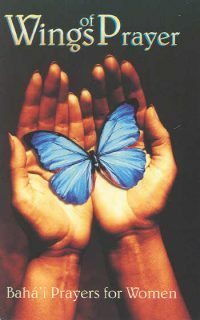 Wings of Prayer - Baha'i Prayers for Women Nicely organized, the seventy-five prayers and quotations inside are either directed towards women, or are about issues of interest to women. This recently expanded 4x6" edition is larger, 50% longer, and has almost twice the number of prayers and quotations as the earlier edition. All of the Ruhi memorization quotations in one handy pocket reference that is so beautifully designed that it doubles as a gift booklet for seekers. This book will appeal to the intended readers, who are between the ages of seven and twelve. These are children who are too old for picture books, but not quite ready for a full-sized adult prayer book. Our Large-Print Gift of Prayers has gone Deluxe! Our pocket-sized Gift of Prayers is our best selling product, and is available in four editions, including this new deluxe large-print edition. The Hard Way offers a Baha'i perspective on most of the issues that are being talked about today. It includes the quotations and statistics you need to discuss the issues knowledgeably. This 16 page, 6x10.5" booklet has color inside and out, including graphs and illustrations in an easy-to-read magazine format.